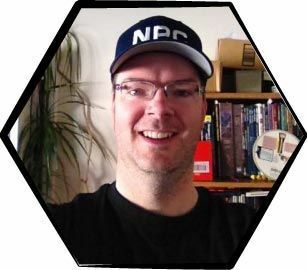 Renowned Expedition to the Demonweb Pits designer Wolfgang Baur listens to what gamers want to create: limited-edition adventures featuring player handouts, gorgeous maps, new monsters, and original encounters. His patrons say “already one of my favourites” and “awesome awesome awesome and more awesome”. You choose the next design, an underground Empire of the Ghouls or a spectacular city-state with unique magic, clockwork, and wild adventure hooks. Sign up today at www.wolfgangbaur.com and shape the next Open Design! Roleplaying Tips Weekly started up over 7 years ago. Thanks for reading! Thanks also for all the great tips submissions, past, present, and future. We GMs thrive on improving our craft, and your tips, techniques, links, and advice help everyone enjoy our hobby to the fullest. Topic and tip requests are always welcome. I caught the movie Beowulf & Grendel for the first time the other day and it was much better than I expected. Good grist for fantasy GMs for sure, as there were interesting characters and locations for design inspiration. Expeditious Retreat Press has announced the third Advanced Adventure, The Curse of the Witch Head. For generations the ducal family hid the ancient relic of evil in an underground complex, but the Witch Head has been unearthed! Can the PCs neutralize the Witch Head, or will evil reign again? Now available in electronic format at YourGamesNow.com and available for pre-order at by XRP’s site! Being enthusiastic is a free action. 🙂 It’s also contagious, and players will pick up on your vibe and become enthusiastic themselves. Unless, of course, your enthusiasm stems from a total party kill, in which case your friends might not share your glee. GMs often start a session with enthusiasm but then settle into a passive, monotone, or indifferent state for the rest of the game. You need to remind yourself to be excited an hour or two into your game, and once in awhile after that. Put a Post-It reminder on your screen. Set a watch timer to go off every hour. Designate a dice to be your “dice of supreme excitement”. Each time you spot it or roll it, let it remind you to be excited. Supremely. Put reminder bookmarks or Post-Its in your books and notes. Some things kill excitement pretty fast, which you can predict. Therefore, give yourself a reminder that will trigger during those times to pick up the enthusiasm. For example, certain rules might always be tricky and bog down the game. Put a Post-It reminder on that rules page to be excited, because this is a time when group energy drops. Your number one option for enthusiasm is voice. Avoid monotone GMing. If suddenly speaking louder or softer with more energy would seem like a weird transition, then use descriptions and NPCs as ways to switch. Loud declarations, such as “Roll for initiative!” or “Roll a saving throw!” are good for this, as well. Use your hands as a silent description tool. Draw out the shapes of things as you describe them, mimic NPC gestures, wave your hands around during combat. As session time passes, you might fall into the trap of hunching your shoulders, staying glued to your chair, and keeping your head down to read and take notes. Once an hour, if not more, stand up, straighten your shoulders, stretch, get your head up, take a deep breath. Renew GM energy and enthusiasm by moving around. Try GMing while standing up. Walk around the table as you describe things and set scenes. Get your players moving too. Serve cold water instead of pop. Ask players to bring fruit and veggies for snacks. Avoid eating large meals before the game. Enthusiasm sometimes requires confidence so you can describe what’s happening and GM the situation well. If you aren’t clear about what’s going on right now in the game, confidence wanes and enthusiasm soon follows. At any time, feel free to take a 30 second pause to gather your thoughts and visualize in your mind the current scene. The story – what’s happening now, in story terms? What’s notable, entertaining? If you strip away all the game stats and rules, what kind of story or interesting anecdote could you tell about the current situation? Picture a hammy introduction to a soap opera that covers each character and something dramatic about their current situation. Visualizing things a few times each session takes practice, but it clarifies a lot, plus it gives you a short break. After you are done, you should be able to continue GMing the current scene with renewed confidence and enthusiasm. Player handouts and other prop types go over well with groups and are quite entertaining. RPGs happen mostly in the imagination. Bringing something physical to the table, even if it’s just a crude representation, adds a new dimension to gameplay. In addition, a prop represents a shared group experience. You can describe a scene or NPC to the best of your ability, but each player will still form their own picture in their head. Once in awhile, bringing out a prop, such as an NPC portrait, synchs everyone up and creates an entertaining group moment. Interactive props get you even more entertainment value. Use props that are puzzles or useful game aids that enhance the playing experience. More interesting game elements means more entertainment. NPCs are common in many campaigns, so if you work a little to improve them, you make a large impact on the game. If your campaigns rely a lot on NPCs, then small changes to each will have even greater effect. Start by giving each NPC a hook – something you can use to pick up instantly and roleplay with. Many NPC generators focus on quirks, but if every NPC emits some kind of weird trait or behaviour your games will become clownish and hard to believe. Instead, create a mix of NPC devices you can spread around to make each NPC entertaining in a different way. Quirk. Quirks _are_ great, just not for all NPCs. Example quirks are bad breath, stutters, and talks with hands. Secret. Give your NPCs something important, dangerous, or scary they need to hide. The more relevant the secret is to the current encounter, the more interesting the NPC is to roleplay. However, you don’t need to key every secret to an encounter. Just having a secret is enough to provide interesting sub-text to a parley. Example secrets are: body in the basement, is rich, is high level but poses as weak or vice versa. Strong goal or motivation. NPCs with strong motivations tend to see everything through this lens, which affects what they focus on, think about, and talk about. They will often try to steer the conversation away from the PCs’ goals to their own. Mood. Put the NPC in a good or bad mood and establish why. This is a great method for recurring NPCs, making them less static. Players often slot NPCs into a category within seconds of meeting them as well, and changing an NPC’s personality up from time to time keeps players guessing and motivates roleplay. For example, an ally might be uncharacteristically rude and abrupt with the PCs. Some players might jump to the conclusion the ally has turned into an enemy. Other players will want to chat with him to find out what’s wrong. Either way, the NPC is entertaining. Good or bad circumstances. You can change any NPC by putting them in different circumstances. For example, the characters might see the local apothecary competing in a fist fight, or they might spot the jailer who taunted them last week on a blind date. Vivid descriptions entertain players. Be sure to describe not just scenes, NPCs, and things, but skill attempts, character actions, and combat as well. We often get absorbed by the numbers and lose in-character perspective. Paint word pictures of what the characters see, hear, smell, taste, feel, and intuit; plus describe how their actions appear to others and give colourful summaries of the results and consequences of their actions. Practice descriptions. Picture the next encounter you anticipate will take place in your game. Describe the set-up – what the PCs will experience when the encounter triggers. Anticipate a few PC actions, such as starting a fight, asking questions (if there’s an NPC around), or exploring. How would you describe those? Because you are practicing, feel free to tweak and self- assess. Re-describe the scene as much as you like, perhaps picturing it from different entrances, or through different players’ and characters’ eyes. During practice, you’re not looking to lock in a description. Unexpected PC actions might ruin a rigid script or a fixed-in-place mental picture. Instead, pay attention to what new things you think of to describe, and what new words you conjure up. Also make note of what you have trouble describing and words that fail to come to mind so you can research those before next game session. With practice, you are trying to improve your skill at description, and you get a few freebie encounter descriptions out of the exercise as a bonus. Quite often we get into a rut of GMing the same kinds of environments. This applies to combat as well as to roleplaying scenes and game regions. In some games, having unusual environments is tricky rules-wise. In addition, it’s easy over time to imagine and generate what you’ve GM’d before, and you build up a portfolio of environments you are comfortable with. If you don’t challenge yourself to increase your portfolio, it will shrink over time due to human nature, forgetting some ideas, or gaming less due to real life taking over. Interesting environments provide great sources of entertainment, assuming there’s some new, extended, or interesting points of interaction for the players and PCs. Often, just changing the description will trigger player imaginations. Go further though by designing or borrowing ideas on different encounter locations, campaign regions, or even gaming worlds if you have the opportunity. For example, if you are a Forgotten Realms GM and are starting a new campaign, consider looking at Dark Sun or Rokugan. One of my poorest locations for GMing are caverns. I tend to picture the same type of terrain, which makes for repetitive gameplay. I focus on the walls (i.e. two dimensions) and ignore the different types of footing, hazards, and feature possibilities caves have. Before your next a game, create a list of anticipated encounter locations. Is the location fun and interesting? Is it a place of default design, or perhaps no design at all? Some changes might create new rules situations. Try to get these researched and noted before the game to ensure smooth play. During the encounter, if your players don’t react to the interesting environment, show by example via NPC roleplaying and actions. Have NPCs take advantage of the design or point things out during conversation. Sometimes our environments grow stale due to lack of knowledge. We make assumptions and decisions based on faded school lesson memories, snippets from conversations, and various game materials we’ve consumed over the years. Try reading some history. Autobiographies, historical fiction, and non-fiction often contain excellent details and information about environments you might not have thought up on your own. I also believe it’s better to take PCs to several different environments each game session at the possible sacrifice of a bit of realism or gritty style. Put them in a cart chase, then a damp cellar overgrown with mushrooms, then an ice or crystal palace, then at the edge of a cliff. This is easier said than done if the PCs are in a dungeon, forest, or small region the whole game session. Even then though, do what you can. Throw in a wild, untended grove inside the castle, a magic pool pool room under the inn, a massive bee nest the PCs must walk through amongst the 10’x10′ dungeon room maze. Try to craft a secret or twist to reveal each game session. You get bonus points if it furthers the plot as well. The surprise factor adds immense entertainment. If players guess the secret ahead of time, they’ll be most pleased (and entertained!) when they are proven right. In many cases when players crack twists in advance, you will get credit for clever GMing, not for weak designs, so never worry if the players have outguessed you. NPC identity. Take an NPC coming up next session and give them a secret identity. Figure out how this identity can be revealed thanks to PC influence (“If it weren’t for you meddling kids!”). NPC motivation. Change up the reasons why an NPC wants something or is taking action. Design one or more ways you can try to reveal this next game. Make the new motivation out of character for the NPC to help surprise the characters. Perhaps the beggar has plans to take over the city after a complete survey of the sewers, the loyal guard stays alert at his post because he’s expecting a visit from an informant, or the ogre pounds his chest and challenges the PCs while his children run underfoot, playing. Location use. Craft a second, hidden purpose for a location. Perhaps the area is a cult meeting point, a torture room, a monster fighting ring. Maybe the place is where the Prince and the peasant girl meet away from the Queen’s tyrannical gaze, an art “collector” sells his stolen wares, or dark polka dances carry on until dawn. Secret rooms. Secrets doors are old hat to experienced players, but putting hidden entrances and rooms in public or unexpected places is still fun. This is quite effective if secret locations are revealing during repeat visits. Note that in your game characters might have passive secret door senses – ensure you have an explanation (i.e. failed roll, new construction) why the characters didn’t detect the secret door during any previous visits. As GMs, we all fall into habits, patterns, and ruts. Break patterns to become more entertaining. NPC roleplaying. Try to craft new accents, NPC perspectives, sayings, and details. Is every innkeeper jovial and plump? Change it up by having an ill-tempered employee who is a second-rate assassin by night. Player seating. Ask everyone to switch from their usual spots before they get settled. GM seating. Try switching from the usual place at the table, if possible. Game location. If you can swing it, game at a different place once in awhile. Rules. You become familiar with a certain subset of a game’s rules. Try re-reading the rule books and find new rules to play out. Plot types. Run a plot type you haven’t done in a long time. If you don’t want to interrupt your current thread, make it a side plot, or even a single encounter. Foes. Bring new monsters, foe types, and foe tactics to the table. GM set-up. Create a new GM screen, GM without a screen, try Post-It Notes instead of index cards, try index cards instead of bulky binders. Stand instead of sit, or sit instead of stand. Grow three heads. Do what you can to change your set-up just to get a new perspective. Player creations. Tap your players for new ideas and game elements. If you are uncomfortable having them pop things on you mid-game, work with players between sessions, perhaps on PC side-plots, backgrounds, and additional day-to-day lifestyle details. Out of this will come ideas for new NPCs (possibly of types you don’t normally GM), locations, and encounters. Queen of Lies is an action-packed fantasy adventure designed for Ptolus: Monte Cook’s City by the Spire, written by incomparable RPG author, and also the setting’s creator, Monte Cook. Involving numerous challenging scenarios for characters of 11th level, Queen of Lies is filled with dozens of dark elf personalities, cunningly showcasing their alien culture – a world of merciless betrayal and sinister lusts. Featuring new monsters and magic items that dwell within the unique environment of the dim realms below the City by the Spire, Queen of Lies will test the mettle of the hardiest of heroes. Put these under the mini base to keep a running damage total. Use coloured Post-It Flags to denote the level of “pain” your NPCs/Minis are in. The sticky keeps the flag attached to the bottom of the mini so you don’t have to move a stack chips every time your beastie attacks or moves. If you have dry erase pens you can write hit point totals on the flags as well. They make magnetically stackable 1″ markers. They come in dozens of colors so you can denote different effects, levels, or whatever you want. We use our coin change jar for mini damage. Nickels, dimes, quarters stacked in front or on top of the monster stat cards. If poker chips are too big, you might try bingo chips. For bingo players who don’t frantically dab with pens, there are little chips, maybe a tad under 1″ diameter and fairly thin. I learned math with those things in elementary school and they stack pretty well. A tip for sneaky tactics I’ve used quite successfully is burning sand. You order up a big ol’ tub of sand, put it over a fire till it gets white hot, put it in a catapult, trebuchet, or whatever you have handy, and hurl it at the enemy. Because of how light it is, it will catch the wind (hopefully you aren’t shooting it into the wind) and carry quite a bit further than a normal missile. When it hits, it will start fires in a camp, get inside clothes and armor, cause nasty burns, and possible even cause blindness if someone gets it in their eyes. Do it at night before hitting them with a full-on charge, and unless they are the most disciplined foe around, they’ll be completely disorganized. I think one thing that gets overlooked a bit too often in roleplaying is the sense of wonder and amazement one’s character’s should feel. We live in an age where film, photography, TV, and the Internet have shown us everything. We have all seen (in pictures and movies) the African plains, the vast expanses of Antarctica, the majesty of the redwood forests. We have seen everything. In fantasy RPGs, our characters have not. Imagine seeing it for the first time, whatever “it” may be – the ocean, a bustling metropolis, a towering mountain range, the barren desert. Whatever it is, there are environments out there that PCs haven’t seen. The DM should take time to emphasize this. Describe it in detail. Point out the amazing things we all see, but take for granted. If your character has never seen the ocean, imagine how he or she would feel. All that water, seeming to stretch off into eternity. If the DM can instill a sense of wonder in the players, the game is better for everyone. It seems the classic D&D assumption is that elves become decadent and then stagnate, but that assumes elves are humans. They aren’t – they’re elves. Effectively, they are aliens as far as people in the real world would see it. So, they have alien motives desires and modes. My elves are do-gooding, contented, and fairly static. I realized any society built on this foundation would eventually be steam-rollered by humans, who are always changing. How pesky. So, I added two factors: the Fever and the Rage. The Fever is something every elf gets at some point in their life, at least once. Whatever they were doing, they stop doing it and start doing something else. The Fever can be a quick and permanent shift, from healing to adventuring, from artistry to martial arts. It can also be an extended period of wandering and indirection. The Rage is bigger, badder, and infectious between elves. The exact mechanism is unknown to elves. Periodically (hundreds of years can pass in between) a group of elves will suddenly become passionately overwhelmed by a concept, idea, plan, or emotion. This infection spreads like wildfire amongst the elven community and can consume whole cities. Whatever the originator was feeling, the whole group will just cart off and do it. Famous examples in my campaign include an audience at a passionate opera who suddenly up and slaughtered the entire city’s inhabitants (that opera is no longer played). Another time, a whole town’s elves got the fever to go sailing, stole all the ships in port, and sailed off to a distant isle where they shipwrecked and have lived ever since. So, for the most part, a very static lifestyle. Sometimes, rapid upheaval. Characters and creatures from the darkest reaches of the D&D universe! This latest D&D Miniatures set includes several infamous D&D characters and popular D&D monsters. Undead and other creatures of darkness figure prominently. Various figures are drawn from key D&D titles, including the Expanded Psionic Handbook and various Eberron and Forgotten Realms supplements. Four miniatures – one per faction – also have a second stat card that features epic-level statistics specifically for high-level versions of those figures.